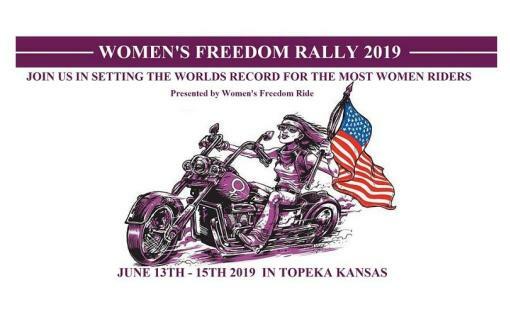 The year 2019 is the year that all women riders will come together, as one, and we will set the record for the most women riding on motorcycles in one event! ALL women riders are welcome to come join us, no matter what type of motorcycle you ride! It's about supporting and encouraging each other while breaking a worlds record! 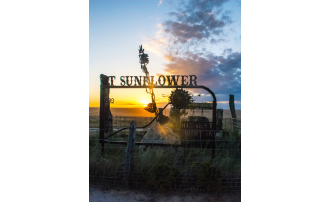 We have Ride Captains that will be starting close to the 4 corners of the USA, Florida, Arizona, Utah, and Pennsylvania. We will also have Ride Captains starting in the central N, E, S, and W areas, Las Vegas NV, Louisiana, Charlotte NC, Sioux Falls SD . . . all coming together to ride into the center of the USA, Topeka Kansas! We are setting up the support areas where riders can join in, like Bumpus HD in Murfreesboro TN, and HD World in Oklahoma City! You can join in and ride with the Women's Freedom Riders, as they cross the country, or you can ride in on your own. We will have events, vendors, music, and so much more! Something for everyone!! 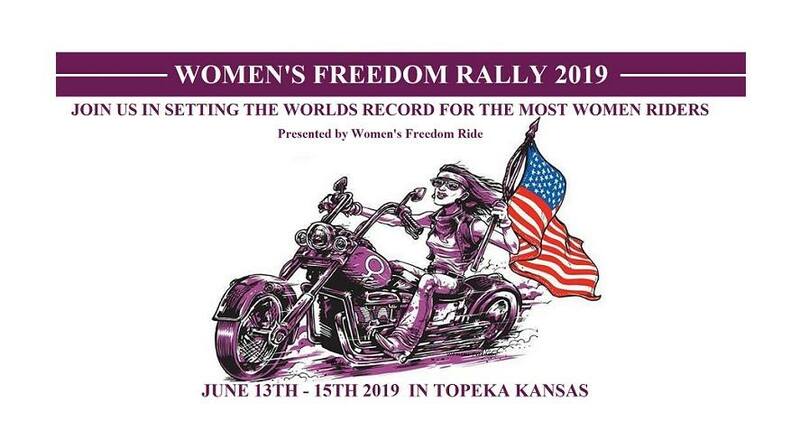 Please make plans now to come together with other women motorcyclists and let's break this record! !